Registration and Materials Fee for 2019-2020 is $450 before March 2, then $550 afterwards.. Tuition for the 2018-2019 school year is $16,000. There is an additional Activity Fee ($125 for Traditional students, $200 for Delta students) due in August which covers field-trips, violin rental, the yearbook (and iPad insurance for Delta students). dePaul School accepts the McKay Scholarship for Disabilities, Step Up For Students Scholarship and the Gardiner Scholarship. 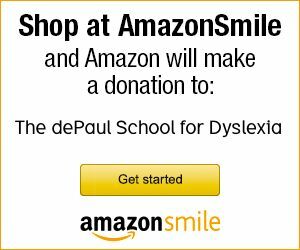 The dePaul School has limited financial aid available to help those families who, without additional financial help, would not otherwise be able to attend the dePaul School. Please do not complete an application for financial aid until you have met with school administration and have been informed that your child is eligible for enrollment. Additional information on the registration process can be obtained by contacting the school office at 727-796-7679 or [email protected]. FACTS Grant & Aid Assessment will be conducting the financial need analysis for the upcoming 2015-2016 school year. Families applying for financial aid need to complete an application and submit the necessary supporting documentation to FACTS Grant & Aid Assessment by April 30, 2015. Applicants can apply online by clicking on the link below. Our institution ID is: 35557. Please allow at least 2 weeks for your application and supporting tax documents to be processed before contacting FACTS.